When the elderly female owner of this Chubb drop chute wall safe sadley passed away her family were left with a locked safe and no knowledge of how to open it. They were also unable to locate a very rare family heirloom any where within the premises. They called safecracker and booked us to open their safe. We attended the address and opened the safe for them and were pleased to say that the heirloom was present within it. 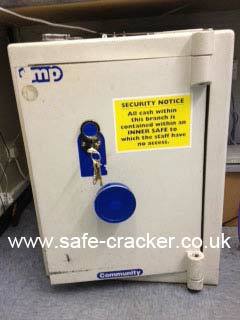 If you need a safe opening, just call Safecracker. 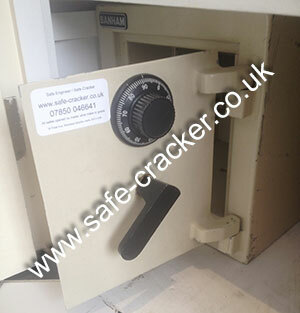 Cracking safes is all we do! The new owner purchased this safe from a frined, the safe was open but neither knew the combination or how to recover it. That didn't seem to be a probelm, as the new owner, a Crown Court Judge, lived near to a Banham locksmith shop. His Honour took the door off and walked it round to the Banham shop only to be told that there was nobody there that knew how to help him! He then contacted safecracker, we attended and set a new combination in to the safe for him and ensured that his Honour could correctly open it. 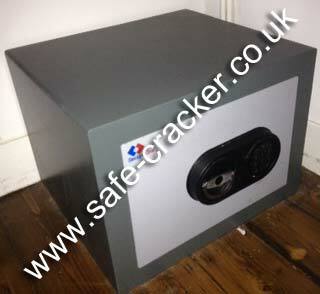 If you have a safe that needs opening or a combination recovering call safecracker. 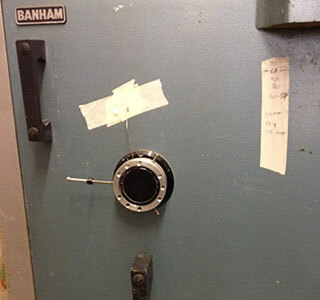 Outside of an art gallery, this safe is one of the only authenticated 'Banksy' works of art anywhere in the world. 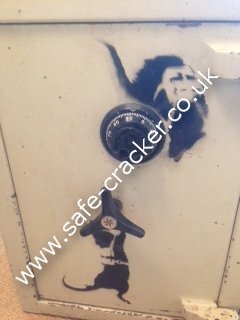 Safecracker were contacted by the new owner and asked if we could open the Banksy Safe with no damage what so ever to the safe. Not only did we confirm that we could, our price to open the Banksy Safe was our standard opening price. 90 minutes after arriving on site, the new owner pulled the now unlocked safe door open, revealing the previously unknown contents. 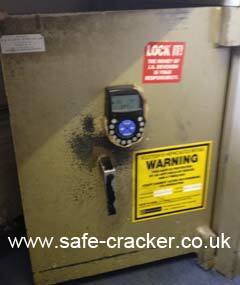 If you need a safe opening, no matter what make, grade or work of art it is, just call safecracker! The executor of a will contact Safecracker after he had found this locked safe in the premises that he was dealing with. A locksmith had attended but had not been able to open it. Safecracker arranged to meet the executor at the premises on a Sunday afternoon. We then opened the safe for him with no damage. 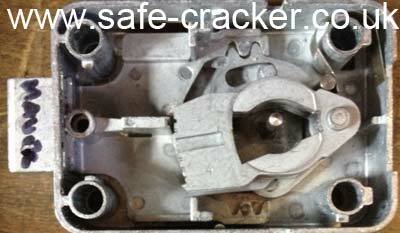 If you need a wall safe opening, call safecracker. When the staff at this central London school went to open this Victory safe to take out a number of their students passports, they found that the combination lock would not open. The students were due to fly out the next morning. They called safecracker. We attended that evening and opened their Victory safe allowing them to recover the passports. 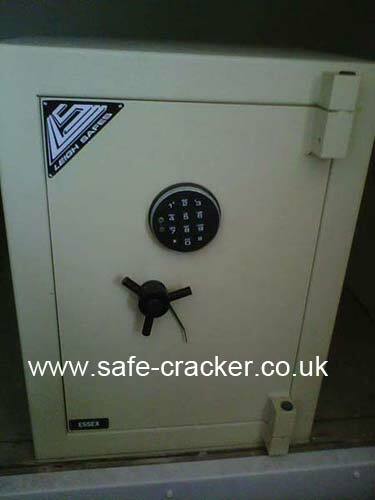 If you need any safe opened call safecracker. 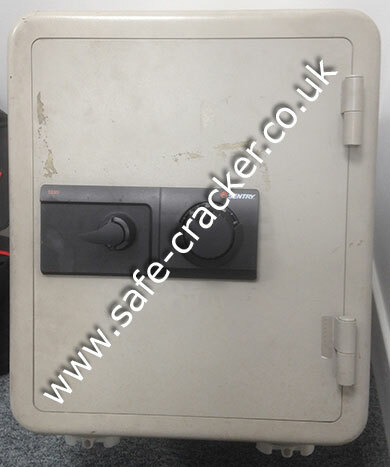 This Dudley Windsor Safe was locked with no-one knowing the combination to the 3 wheel combination lock that was fitted. 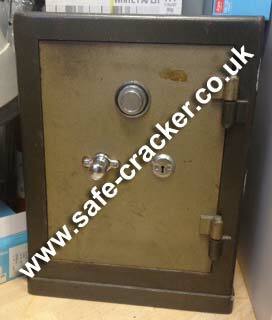 Safecracker attended, opened the safe and returned it back to full use. 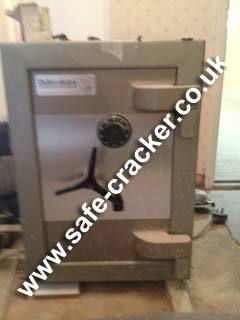 If you need a Dudley safe opened or any other locked safe, call safecracker. 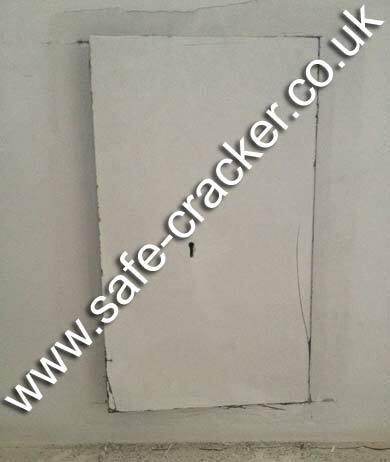 The owner of this Chubb Secureline safe called safecracker after he returned from holiday and was unable to access his safe. 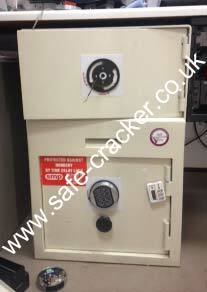 Safecracker attended, opened this secureline safe and returned it back to full operation, but this time with a key lock!! 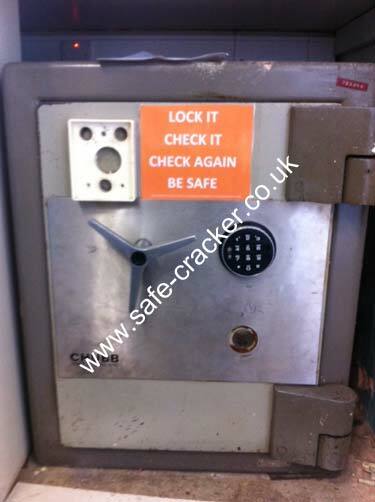 If you have forgotten the combination to your safe call safecracker. 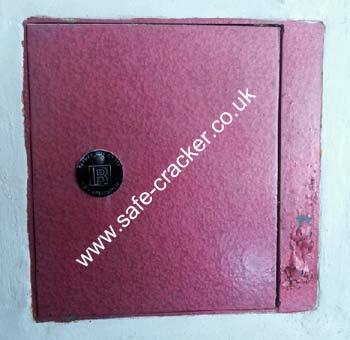 This Chubb safe which is fitted with the Chubb isolator bolt works had an electronic safe lock failure, even when the correct code was entered you could not open the safe. We attended and opened the safe. 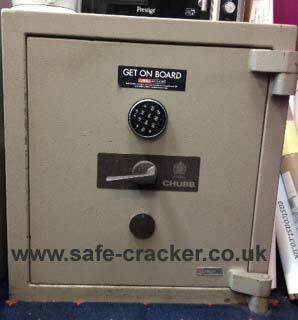 If you have an electronic safe lock failure on a Chubb safe call safecracker. 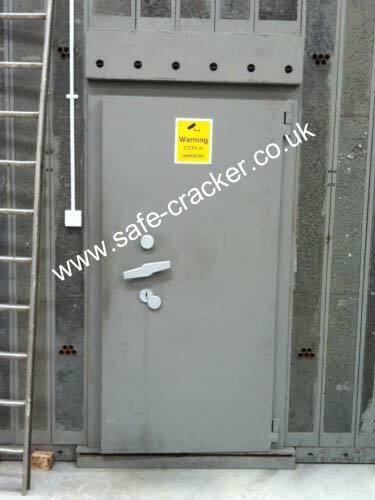 Safecracker were called to this Wertheim vault door after the opening combination for the la gard 3 wheel manual safe lock had been lost. We recovered the combination for this La Gard lock with no damage to the Wertheim Vault door and returned it back to full service. 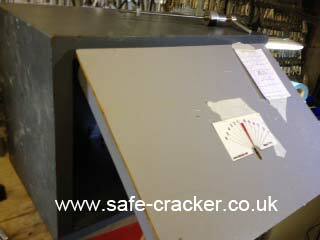 Call safecraker if you need a safe technician to attend your Wertheim safe or vault. 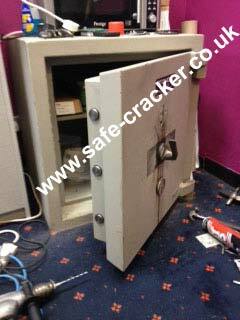 Safecracker were called to this SMP Safe after staff opening their shop found that over night they had been burgled and an attempt was made on their SMP safe. 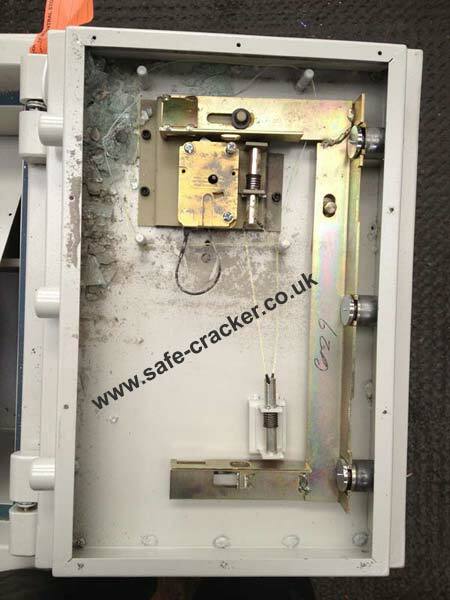 As you can see below, we opened the safe with out any further damage and also restored the SMP safe to full working order. 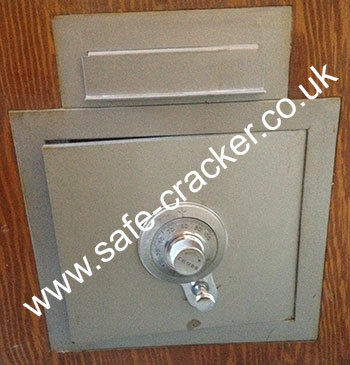 If your safe has suffered a burglary attempt call safecracker to open and repair it.